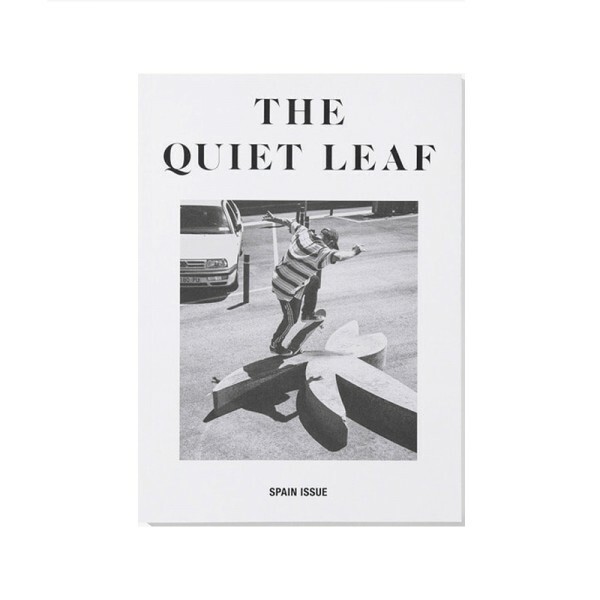 Produktinformationen "The Quiet Leaf Magazine "Spain Issue""
The sixth issue of The Quiet Leaf focuses on Luk Chun Yin’s filming mission to Barcelona and on the legendary skateboard scene of Spain. Hong Kong's finest skateboarder, Vans and 8FIVE2 ambassador, is preparing a solo part for his 10-year anniversary on Vans. His journey to film clips has lead him to Barcelona where he met with locals who showed him world-class spots. In the 80’s, a handful of Spanish youngsters who dreamed of a career in skateboarding were courageous enough to take the leap over to California - the birthplace of skateboarding. There, they were soon embraced by the movers and shakers of the industry and went on to leave their stylish marks in skateboarding history. They were responsible for skateboard video parts that are now considered legendary. Raul Navarro, Enrique Lorenzo, Javier Sarmiento, Daniel Lebron and Jesus Fernandez are still professional athletes today and continue to inspire the next generation. We talked to them for our Spain Issue. Weiterführende Links zu "The Quiet Leaf Magazine "Spain Issue""